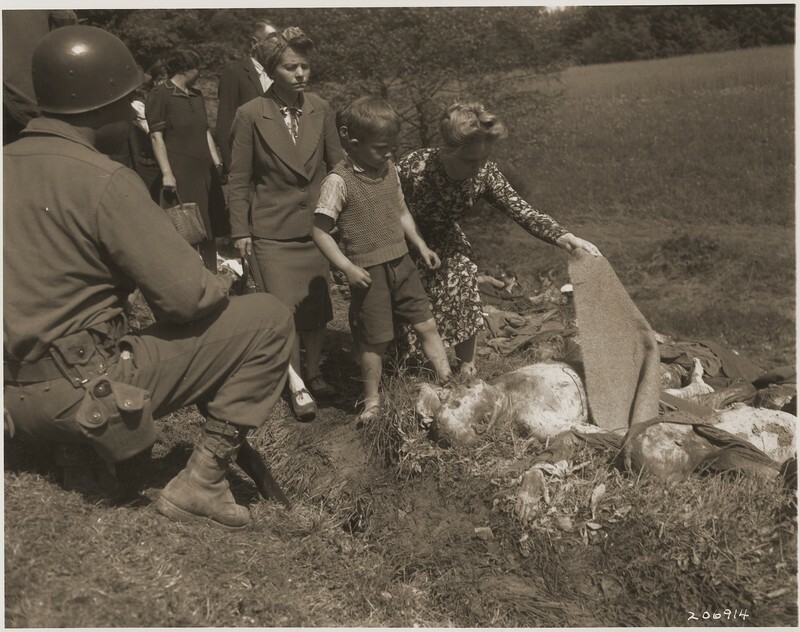 "Now, the Germans might not have believed it, just like we didn't believe it when we were going in, even though we had these pictures shown to us." "[A friend of mine] could recall that the American track team, which blitzed with Jesse Owens for the '36 Olympics, had two Jewish dash men that they would not allow to participate because the Germans didn't want them and they didn't allow them to participate. So we discriminated against Jews, and I didn't know it. I know that a lot of people don't remember that Germany, even though Owens was the big story, Germany won in the 1936 Olympics for the country. And I can recall when we did go through Germany, we came back up to the industrial area around Dusseldorf, when we went into some of the homes of some of the German citizens, they were just reaching out, friendly. And a number of them, which surprised me, would pull out scrapbooks and programs from the 1936 Olympics. And I saw some of the most beautiful color photographs of Jesse Owens with other German track people. And he appeared in the particular prints that I saw, to be the center of attention of the German athletes, and there seemed to be a genuine show of respect for him, because, like I say, he had a fantastic fluid motion. I don't know whether all of the citizens -- just like in this country, people still would not believe certain things were going on. People sometimes tend to support ideas to -- or support individuals who would institute certain practices that they might not do themselves, but they might let somebody else do it. And I don't know whether they actually know it, but there's a sort of a sneaking suspicion sometimes that things are going wrong. I don't think that the Germans could do what they did without it being leaked out. Now, the Germans might not have believed it, just like we didn't believe it when we were going in, even though we had these pictures shown to us. [But witnessing atrocities leaves a mark. General Patton used to pass] by our unit periodically. As you saw, he'd go and visit all of these companies. He would have a Jeep in front and a Jeep in the rear. And he was in the middle Jeep. When he passed by you a few times in Luxembourg and Belgium, he'd pause just to let you know he was on the scene. 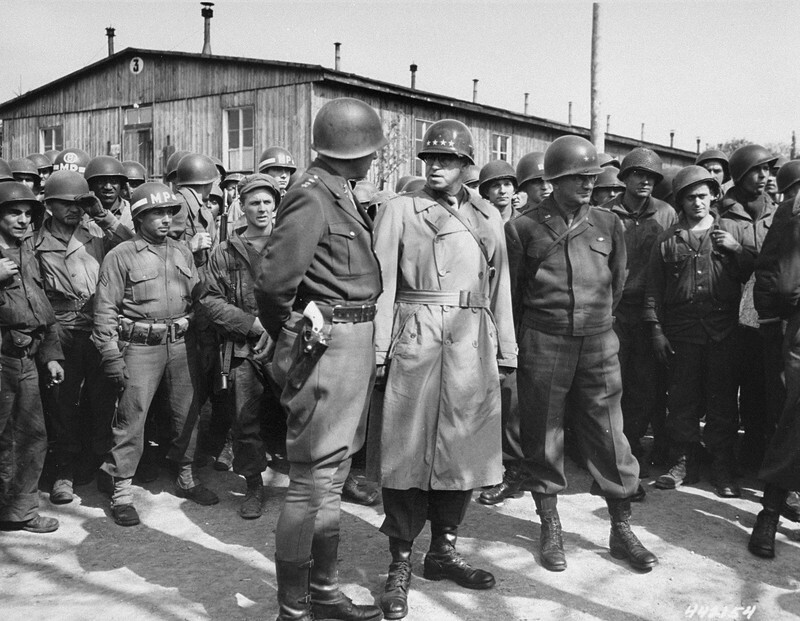 After Buchenwald, you never heard from Patton anymore, to my knowledge, until he died." W.A. Scott III, “Seeing and Not Seeing,” Georgia Journeys, accessed April 24, 2019, http://georgiajourneys.kennesaw.edu/items/show/342.